As part of our ongoing seminar series, the Centre of Excellence in Severe Asthma hosted Prof. Helen Reddel for a webinar on “How to Design and Interpret Studies of Non-Pharmacological Interventions for Asthma” on 28 July, 2015. Non-pharmacological approaches are an important aspect of asthma management. These approaches are used in combination with medications. Approaches include avoidance of environmental exposures, physical activity and educational interventions. High-level evidence is available for some non-pharmacological approaches. These include avoidance of tobacco smoke exposure, physical activity, healthy diet and avoidance of medications that worsen asthma. Unfortunately, high-level evidence is limited for most non-pharmacological strategies. To generate high-quality evidence, careful consideration must be made to study design and analysis. Useful guidance for non-pharmacological treatment trials is available in from the CONSORT Group (Boutron, Ann Intern Med, 2008). This presentation outlines factors that to consider when in non-pharmacological trials for asthma. Key factors include a clear statement of the research question, the choice of comparator groups, outcome measures, study blinding and patient involvement. Through careful consideration of these factors high quality research of non-pharmacological interventions is possible. Prof. Reddel’s research focuses on strategies to improve the management of airways disease, and population level monitoring of asthma and COPD outcomes. She has a strong focus on improving communication between patients and health professionals, and on making guidelines not only evidence-based, but also practical and patient-centred. 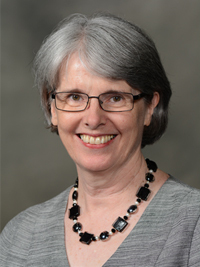 She is Chair of the Science Committee of the Global Initiative for Asthma (GINA), a member of the Guidelines Committee for the Australian Asthma Handbook, and clinical adviser to the Australian Centre for Airways disease Monitoring (ACAM).